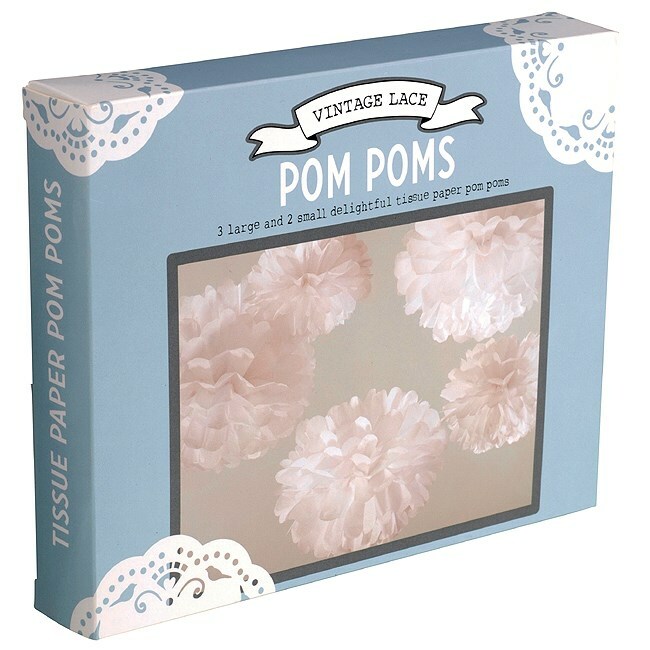 Description3 large and 2 small fantastic white tissue paper Pom Poms. Open them out and hang them up to create the wow factor. Use them in conjunction with our Lace Bunting to put together a truly romantic look. The Pom Poms are 32.5 cm and 25.5. cm round when fluffed out. 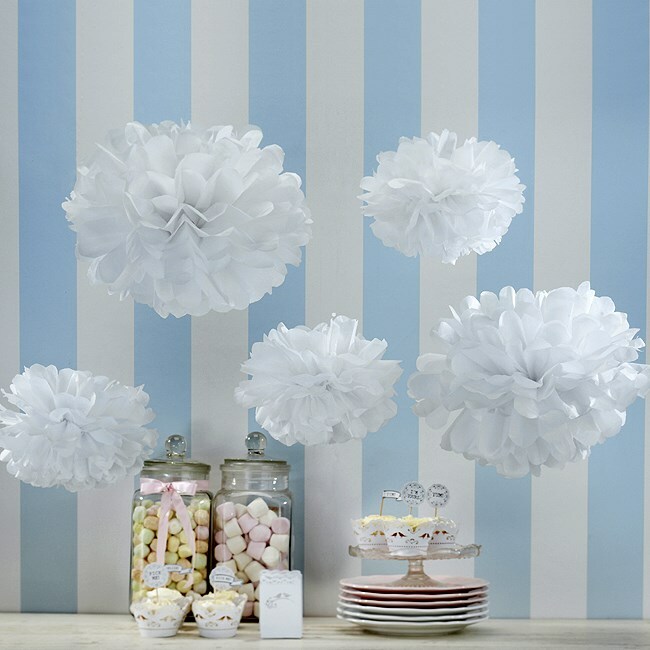 3 large and 2 small fantastic white tissue paper Pom Poms. Open them out and hang them up to create the wow factor. Use them in conjunction with our Lace Bunting to put together a truly romantic look.